Today, we’re tackling the subject of unplugged weddings. More and more couples are choosing to ditch their devices on their wedding days and they’re asking their friends and family to do the same. 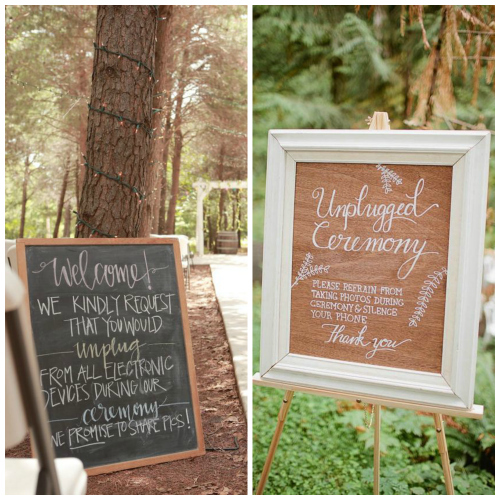 So, what is an unplugged wedding? Why are they so popular and should you be considering switching off for your own big day? Quite simply, it’s a request for guests to leave their phones, cameras and other devices away for the duration of the wedding. Lots of couples ask guests to be ‘fully present’ and, without the distraction of phones, selfies and social media, everyone can interact more. Unplugged weddings also help everyone get back to the most important things in life – sharing never-to-be-repeated moments and really living them, not just watching them through a screen. Unplugged weddings have also grown in popularity thanks to the online sharing of photos ruined by guests determined to grab the perfect shot. Google ‘wedding photos ruined by phones’ and you’ll see so many sad images. Guests stepping out into the aisle blocking the groom’s view of his bride and shots where literally every guest is snapping a pic rather than just enjoying the moment are not the thing of wedding dreams. Should You Consider Having An Unplugged Wedding? Well, yes if you want your guests to really share in your day! It’s also highly likely that you’ve booked a great photographer so there’s really no need for that guest four rows back to be leaping around during your ceremony to try and get a photo is there? You’ve paid your photographer a lot of money to capture your day so ask everyone else to put their phones away and let your photographer do their job. Those wonderful photos you see in magazines and in wedding blogs definitely weren’t taken by a guest with a phone camera. 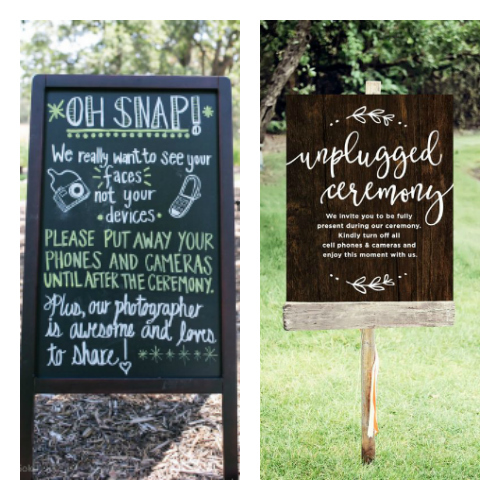 Of course, it’s fab for people to be able to snap some candid shots during the reception and that’s definitely less intrusive so why not consider unplugging for the ceremony only if you think the thought of an all-day digital detox might be too much! It’s easy to include a line in your wedding information pack or on your wedding website if you’re going unplugged. Some guests might need to make arrangements for emergency work calls or with babysitters and that’s easy to do if people are given notice. Then, when it comes to the wedding day itself, a simple sign reminding people to switch off is all that’s needed. Of course, this might not stop the most determined social media addict from snapping that #weddingselfie but the majority do tend to respect the wishes of the couple. Our woodlands really are so serene and peaceful that unplugged weddings work so well. It’s wonderful to be able to leave everything behind and just share in the moment without feeling the need to capture it on a phone camera. You’ll be surprised how good your own memory is if you just put the phone to one side and really let yourself take in everything that’s going on around you! Why not book your showround and visit one of our woodland wedding venues? You can even unplug for this if you’d like! Freedom – Well, we had to start with this one! Woodland weddings give you so much freedom and at GreenAcres, we work hard to be as flexible as possible. You can truly make your wedding your own with us. 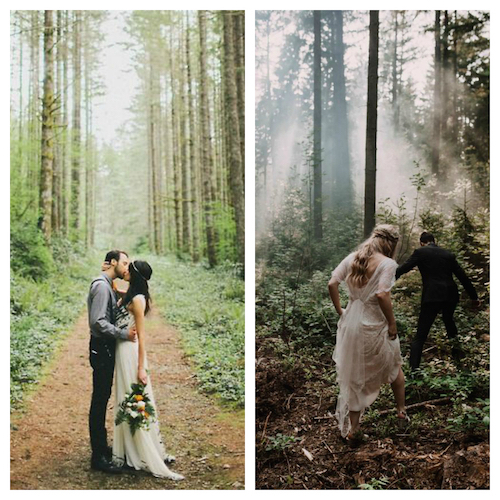 Amazing Photographs – If you’ve been swooning over woodland wedding photos on Pinterest (and here are some of our favourites) you’ll know that woods make fab backdrops. They can be romantic, pretty, elegant, wild, bohemian, rustic and so much more. Whatever your wedding style, woodlands are the best settings. 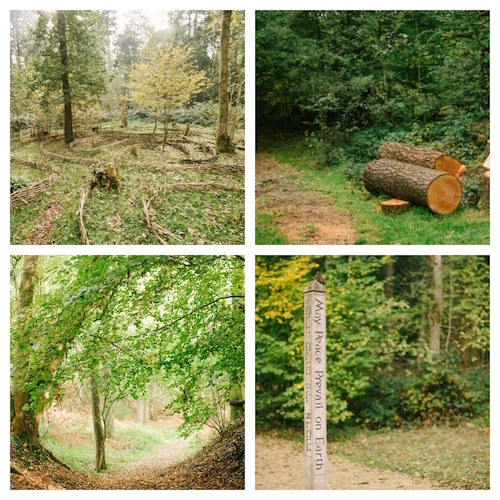 Seasonality – Our woodlands change so much throughout the year. From the bluebells in spring and leafy canopies in summer to rich colours in autumn and the bare beauty of winter. Choose whichever season you love the most. 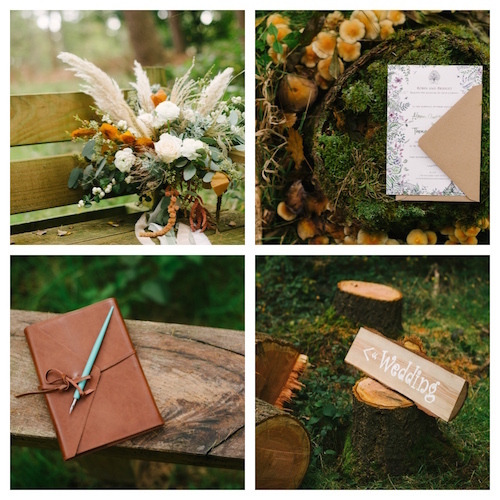 Something Different – If traditional wedding venues don’t excite you then a woodland wedding could well be the ‘something different’ you’ve been looking for. Invite your guests to a wedding they’ll always remember. Inspiration – When you hold your wedding ceremony in our woodlands, you’ve got a ready-made theme for the rest of your wedding. Be inspired by your surroundings and the season! 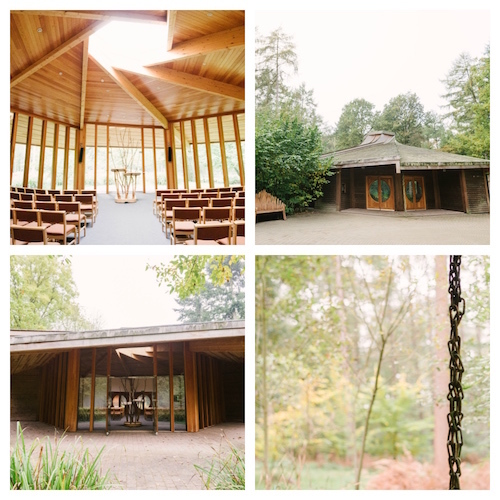 Peace & Escape – For a truly ‘unplugged’ wedding, you need our woodlands. No rush of people, no traffic, no sense of being hurried. Escape from the everyday and just think about your big day. Journey of Life – A wedding or partnership ceremony is a momentous life event. It’s part of your story and the natural world always represents this so well. Celebrate the journey with us. So Many Styles – From laidback boho to rustic luxe, naturally elegant to eco-friendly, woodland just work with so many wedding styles. You can be exactly who you are with us. Personal Weddings – As you’ll see, your wedding with us can be whatever you want it to be. We can host your ceremony; you can stay with us for drinks and canapés or even welcome guests with a snack and some entertainment. The choice is yours. Sense of Permanence – Our ancient woodlands come with their own history. This is a wedding venue that’s been growing for decades. Woodland weddings have deep roots that will last for many many years. 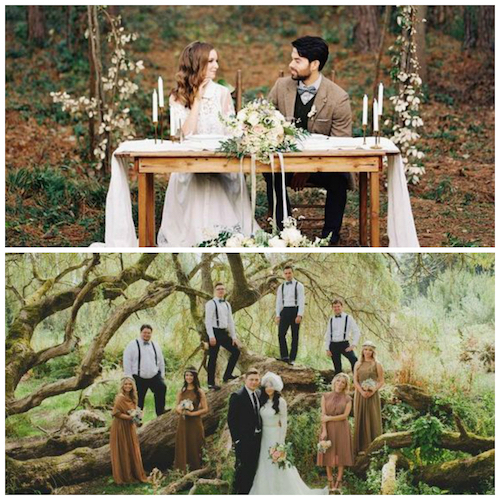 On trend & Timeless – Look on any major blog or in any wedding magazine and you’ll spot some woodland weddings. Our trees are on trend but they’re not a passing fad. What a great combination! Memories You Can Take Away – After your wedding, whenever you’re in woodland or perhaps whenever you see a bluebell or hear a bird sing, you’ll find yourself back at your wedding. The memories that you create with us go with you. Visit Your Woodland – Our woodlands are always here. Visit us whenever you like after your wedding. Recreate your weddings photos as your family grows. Bring relatives along with you to celebrate anniversaries. You’re always welcome at GreenAcres. If you’d like to visit us and find out more about GreenAcres Woodland Weddings, just get in touch to book your showround. We still have availability for 2017 weddings and our diary is also open for 2018. It will be wonderful to see you among the trees soon! Welcome to GreenAcres Woodland Weddings! We’re so happy to be here with you. Now that we’ve opened the doors to our woodland wedding venues, we thought it was time we opened the doors to our blog as well. It’s so great that you can join us. We spent much of 2016 preparing our beautiful venues for weddings. Our ancient woodlands and award-winning buildings at Rainford and Chiltern are now fully licensed wedding venues (yay!) and we’d love you to visit us soon. Yes, we really do. Meeting our couples and finding out about their love stories is definitely not work. It’s a joy and a pleasure to get to know everyone who visits us. We’ve also spent a lot of time partnering with some handpicked wedding companies who you might also like. We’re happy to make recommendations and offer advice if you need us but we also understand that you might prefer to do your own thing. The most important thing to us is that you get what you want. So, what can you expect here on our blog over the coming months? Well, we’ve got LOTS of wedding inspiration features planned and we’ll also be offering up plenty of advice. There’ll be some behind the scenes visits to our parks and we’ll also be tackling some tricky subjects and putting our spin on our favourite wedding trends. Don’t forget to follow us on Facebook, Instagram and Twitter for our latest updates and if there’s anything we can help you with, just get in touch. See you among the trees soon!